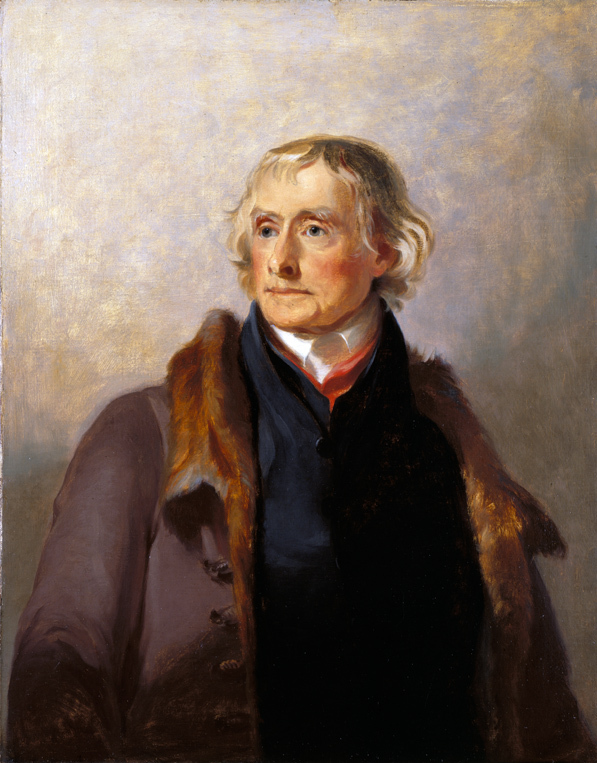 Thomas Jefferson, president of the United States, author of the Declaration of Independence and early ufologist. While I normally write on paranormal topics rather than on UFO’s, where they involve a Dixie mystery, I sometimes make a detour to investigate various unexplained aerial phenomena. For example, in Strange Tales I researched the time one or more UFO’s buzzed the Tennessee Valley at the beginning of the twentieth century (multiple reports of that) and also rare Fortean falls of blood and gore in Tennessee and Kentucky. In Dixie Spirits I reported on a close encounter in West Virginia that Joe Nichol and his professional cynics have tried to explain away with a unique combination of arrogance and ignorance. Moreover, down in Pascagoula, Mississippi, I have written about the “singing river” mystery, of which I reported only a fraction of the weirdness known from that area; while I didn’t bring in any theories about alien beings being responsible, others have, citing numerous UFO, USO and close encounters in the area; what the truth behind all that phenomena around Pascagoula may be is still unresolved, but definitely something is, or has been, going on there that defies ordinary scientific explanation. While there is a certain overlap between paranormal phenomena, cryptozoology and UFO’s, as a rule these are discrete and separate fields of inquiry. For one thing, most scientists do not take paranormal or supernatural accounts seriously and tend to dismiss them all, either as hoaxes or “delusions of the masses” when they can’t rationalize them away; whereas most scientists take the possibility of extraterrestrial life quite seriously, even if they might not accept the evidence of UFO investigators. The SETI program is quite well funded and other scientific programs have also been searching the skies for proof of life elsewhere in the universe—even on mars. So when I learned of Thomas Jefferson’s own interest in unsolved celestial phenomena, it piqued my interest. Jefferson was very much a man of the enlightenment and he kept an open mind to many mysteries that lacked easy answers. He was one of the first, for example, to recognize that mammoths and mastodons roamed America and it is not generally appreciated that one of the goals of the Lewis and Clarke expedition was to go “looking for the elephant” and see if any still lived in the unexplored western territories at that time. So we should not be surprised when, in 1800, Jefferson learned of a strange aerial sighting, he was moved to publish a report of it in a scholarly journal. We are beholden to Thomas J. for an accurate account of one sighting in Louisiana. 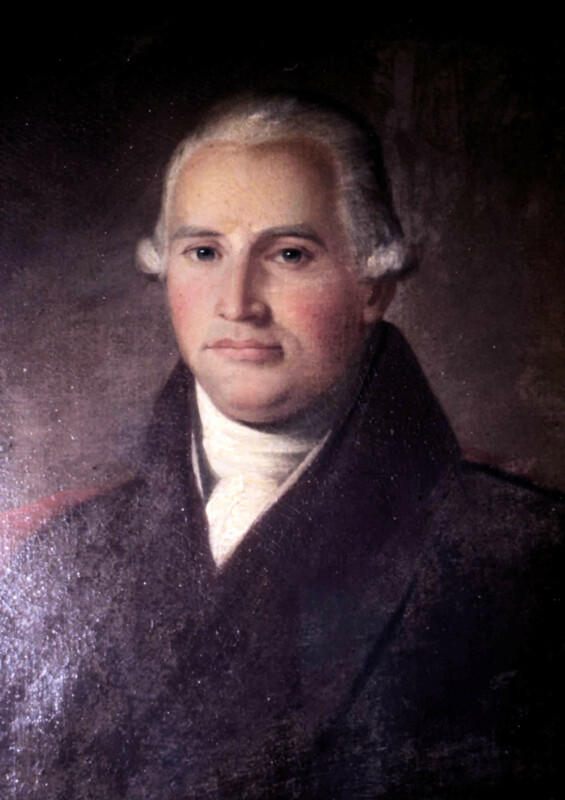 Jefferson’s original correspondent was a gentleman planter named William Dunbar, a Scotsman by birth and a naturalist, astronomer, ethnologist and explorer living in Natchez, Mississippi at the time. In searching the Jefferson Papers, it turns out that one part of Dunbar’s missive to Jefferson survived, on Indian sign language, but not apparently his separate enclosure on the UFO, so we just have Jefferson’s summary of it. Like Jefferson, however, I will attempt to give an objective account of the sighting without too much speculation. On night of April 5, 1800, an object was seen pass over Baton Rouge. It came from the southwest, flying low overhead and moved at an extremely high rate of speed, disappearing out of sight within a quarter of a minute. Eyewitnesses described it as being “as big as a house” and 70-80 feet long and being only some 200 feet above their heads when it passed. It was described as being “wholly luminous but not emitting sparks” and Jefferson gives a vivid description of its luminosity: “of a colour resembling the sun near the horizon in a cold frosty evening, which may be called a crimson red.” When it passed overhead a considerable degree of heat was felt “but no electrical sensation,” by which I take Jefferson to mean that it was not ball lightening or similar phenomena. Immediately after it passed to the northeast a violent rushing noise was heard, indicating it was passing faster than the speed of sound; apparently the force of its passage bent trees before it and a few seconds later a loud crash was heard, “similar to that of the largest piece of ordinance” and a shock, like an earthquake, was felt as well. Observers rushed to where the object landed and while the area plant life was burnt to a crisp and the ground much torn up, apparently there was no object found and Jefferson’s description does not indicate an impact crater either. What was it? Well, the simple answer would be a meteor of some sort. But if so, why was no debris from it found. Curious onlookers swarmed the area apparently, but no follow up report of finding a meteorite or fragments thereof were found. It was obviously very large and low flying, so one would expect a considerable zone of destruction if it had exploded above the ground, along the lines of the Tunguska explosion in 1909. Yet apparently that was not the case, since the nearby witnesses lived to tell the tale. Another curious fact emerges from Jefferson’s report; it sounds as if it were flying almost parallel to the ground; surely most meteors or other space debris would be falling at an acute angle, if not a near vertical angle. I myself have seen a bright object come down a few years back. To the best of my knowledge no one else saw or reported it and it made no sound; like Jefferson’s UFO it disappeared within a few seconds. But it descended at a forty-five degree angle and while luminous it was not close to the ground. It may have been a small, bright meteorite, for if it been the size of Jefferson’s object it would have been noticed when it impacted. Of course, we cannot be certain that Jefferson’s object did indeed crash; it may have exploded mid-air and disintegrated into nothingness. Then too, it may have pulled up at the last moment and climbed up out of its gradual but supersonic descent; but if the latter, it would have to have been a manned craft and not simply some inert rock or fragment of a comet. This may have been the first such sighting, but apparently it was not the last. Checking recent accounts, there are evidently quite a few sightings of strange lights and aerial phenomena in the Baton Rouge area, pretty much ongoing, some of which have been recorded by camera or cellphone. The U. of C. blogger notes that: “if it was a house-sized object coming in at a meteoric speed, it would have been a huge event, with no survivors for miles, flattened trees, etc.” They point out that the object which created Arizona’s Meteor Crater would have been about 50 meters in size, or only about twice the size of the object reported by Dunbar. So, where’s the beef, as it were? In the end, Jefferson’s report of a UFO leaves more questions than answers. What was it? Did it somehow recover from its rapid descent and peel off, leaving only burnt vegetation and blasted ground behind? Well, the honest answer is we simply don’t know and unless more information surfaces, we must continue to categorize it as an unidentified flying object. William Dunbar, naturalist, astronomer and explorer, was descended from titled nobility, but settled in Natchez and corresponded with Jefferson and other leading intellectuals of his day. Thomas Jefferson, Transactions, American Philosophical Society, vol. 6 Part 1 (Philadelphia, 1804), p. 25. Jefferson mentions an illustration, but none of the sources I consulted had it. For more unexplained phenomena, see Strange Tales of the Dark and Bloody Ground and Dixie Spirits.